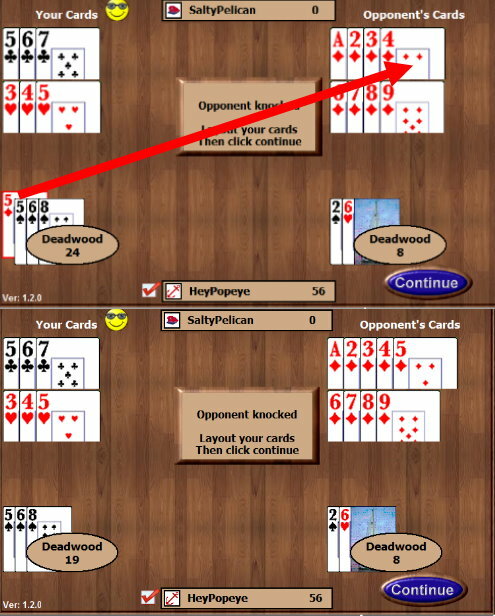 Gin Rummy at SafeHarborGames will offer several different methods for setting game options. Set fixed settings for the game - which prevents the players from changing the settings manually. 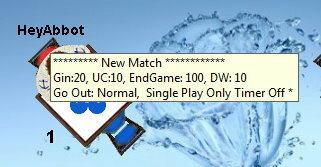 When setting up a game, the user has the option to advertise for their match. 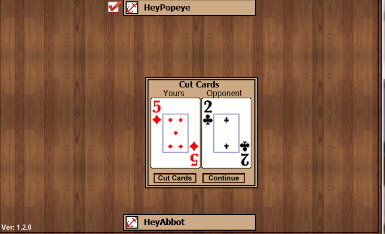 When a player interested in a match, they can mouse over the player's table and see the game options before joining the game. Team play on or off, Bots status and Timer settings. 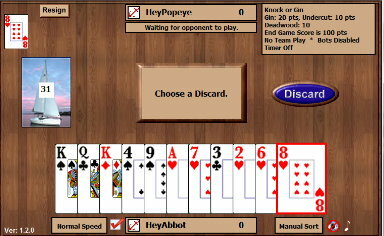 During Game Play, the current status for the two players is shown. as well as whether sound is turned on or off. 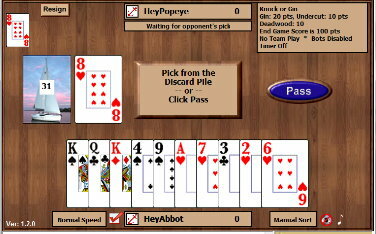 In the team play option, at the end of the game, AND BEFORE EITHER PLAYER HAS CLICKED "NEW HAND", the current player has the ability to swap their places with one of their team members that is kibbtzing them. Then the player clicks on the team member they want to swap places. 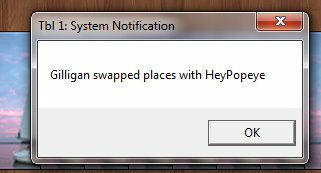 They will receive a dialog window to confirm their choice. 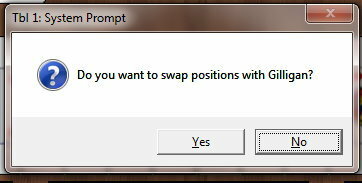 After clicking Yes to the dialog, the player and kibbitzer are now swapped. The player is now the kibbitzer, and the kibbitzer is now the player. 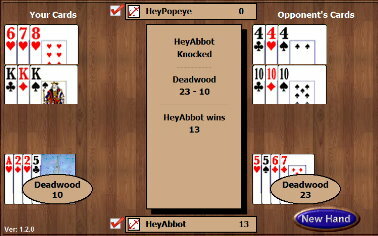 At the end of a hand, after your opponent knocks, you have the opportunity to reduce your deadwood by playing one or more of your cards on your opponent's cards. To do this, first left mouse click on the card you want to move. In this case, you have a 5 of Diamonds to play on your opponents run of diamonds. Once you have selected your card, then click on the run or set you want to add your card to. In this case, it would be the A-2-3-4 of Diamonds. 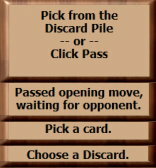 Once you do this the card is moved, and your deadwood score is decreased.